When Gov. David Ige unveils his administration’s supplemental budget on Monday, the possibilities for exciting new programs or projects will be limited by Act 268, a groundbreaking law he helped craft in 2013. The new law requires the state and counties to bank hundreds of millions of dollars each year to pay for future public worker and retiree health benefits. Star-Advertiser. Tax modernization is a key part of Gov. 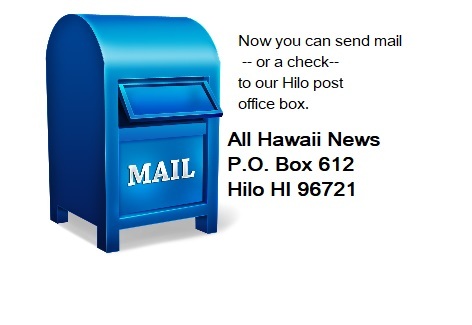 David Ige’s vision to make government more effective and efficient — in this case, finding ways to collect money that already should be coming into state coffers but, for various reasons, is not. Civil Beat. Hawaii Gov. David Ige will be releasing his outline for how he wants the state to spend its money in the upcoming year. Ige plans to submit his proposed budget to lawmakers Monday. Associated Press. The state has had some trouble getting straight numbers from the Hawaii Health Connector, Gov. David Ige told Pacific Business News in a recent interview. Members of Hawaii’s congressional delegation are applauding Hawaii’s take in the $1.1 trillion federal spending bill, which includes spending increases in nearly all categories for the Aloha State. Associated Press. President Barack Obama spent a windswept Sunday hiking along a popular trail system and dining at one of his favorite Waikiki restaurants. Star-Advertiser. On the second day of their holiday vacation, President Obama and the First Family went hiking Sunday morning on the Makiki loop trail at the Hawaii Nature Center. KHON2. State honors Filipino immigrants. The young men, known as “sakadas,” were not the first Filipinos in Hawaii, but they were the first specifically recruited by the Hawaiian Sugar Planters Association to work on the plantations. Star-Advertiser. Ulalia Woodside, a veteran of the conservation arena in the islands, has been selected as the next executive director of the Nature Conservancy of Hawaii, succeeding Suzanne Case, who departed in April to head the state Department of Land and Natural Resources. Star-Advertiser. 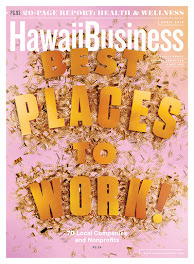 2015 has been an active year in Hawai‘i’s business world. From stories of development and planning to transportation and electricity, actions taken this year will help determine the future of the state. Hawaii Public Radio. 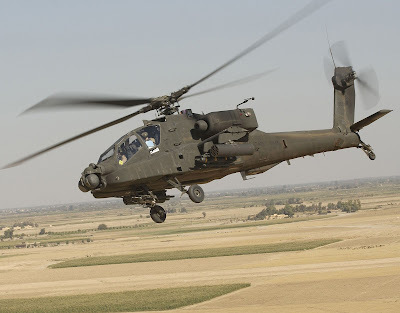 A new AH-64 Apache attack helicopter squadron and hundreds of jobs at Wheeler Army Airfield are back on track with the passage Friday of a $1.1 trillion government spending bill. Star-Advertiser. A Honolulu proposal to classify Uber and Lyft as taxicab companies, which was drafted with the help of taxi owners, would be among the most aggressive measures a city has taken to regulate ride-hailing companies, according to industry observers. Star-Advertiser. Two Honolulu council members want ride-hailing companies like Uber and Lyft to operate more like taxi companies. Associated Press. So many donations and gifts have been pouring into The Harbor this month that leaders of Hawaii’s largest and most unusual homeless community loaded up a truck Sunday afternoon with clothing and blankets to share with a church-run homeless camp a few miles away. Civil Beat. Hawaii County residents earn less than their counterparts on the other Hawaiian Islands, an earning gap that remains even among people with the lowest education levels who typically land at the bottom of the pay scale, according to data released this month by the U.S. Census Bureau. Tribune-Herald. Hawaii County in November continued to notch the highest rate of unemployment in the state. West Hawaii Today. The statue of King Kamehameha the Great in Hilo has its spear again. The ihe was restored to the Wailoa State Park landmark in a rainy ceremony held Saturday at noon, with the help of the Hawaii County Fire Department ladder truck. Big Island Video News. A harsh but unassuming aa lava field that contains one of the island’s most significant historical sites is “just inches” away from being forever in public hands. The $4.25 million needed to buy the 47-acre Kuamoo Battlefield and Burial Grounds in Keauhou has now been raised. West Hawaii Today. Farmers operating with expired land licenses have signed new 15-year agreements with the buyer of some 6,000 acres around Pahala and Naalehu, of which the Moaula coffee lands are a portion. West Hawaii Today. The Maui County Council Committee of the Whole voted 6-1 Friday to recommend hiring a special counsel for representation or a second opinion in council disputes with the administration of Mayor Alan Arakawa. Maui News. Maui's only veterans cemetery is quickly running out of space, and veterans fear it could run out of room by early next year if expansion work is not resumed soon. Maui News. Maui County Council members voted 7-1 Friday to give final approval to the repeal of a section of an ordinance regulating ocean recreational activity permits. Maui News. Like a giant rubbish bin stuffed to the brim, Kauai’s landfill is nearly chock-full. It’s a several hundred million dollar problem with a solution as clear as it is complex: The island’s 81,000 tons of annual waste need a new burial ground. Garden Island. Kauai County officials are drafting an environmental impact statement for a new landfill to replace the one in Kekaha that is expected to reach capacity in about 10 more years. Hawaii News Now. 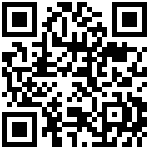 The county is asking for input on how to elect councilmembers through a four-question survey available online. It’s not a new issue. In fact, the question was on the ballot in 1982, 1996 and 2006: “Do we elect members of our County Council with the current at-large system where the entire island votes for all seven members, or switch to a districting system?” Garden Island. Maui County officials are seeking a private developer to build 400-unit affordable housing project on the island of Lanai. Associated Press.